If you like this, have a look at our Architecture Micro Folder. 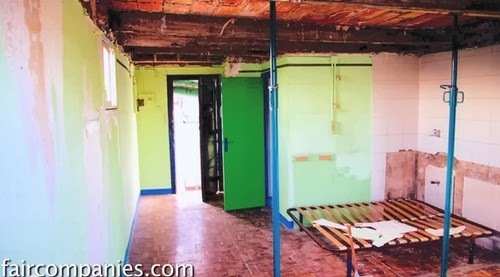 The Apartment in its Original State. Bed and Lower Balcony, the Bed stores under the Balcony Floor. Christian Standing in the Shower.